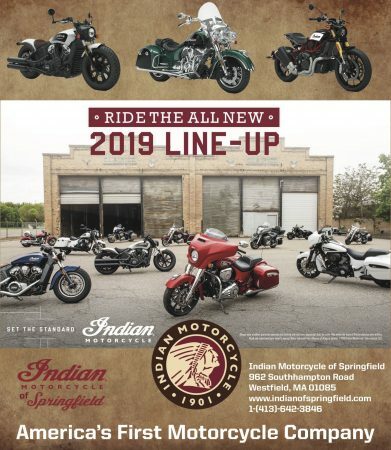 MILWAUKEE – Since the beginning of the 1900s, Harley-Davidson has built one of the biggest brands in the corporate world. 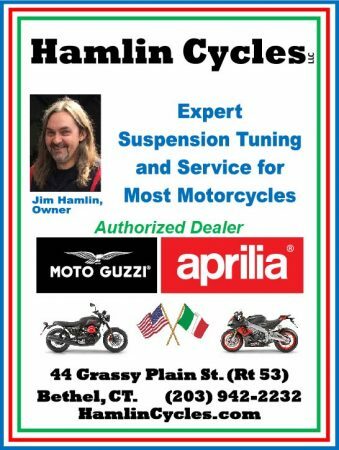 Producing bicycles, golf carts, ATVs, Servicars, and their famous motorcycles, Harley-Davidson has made billions of dollars catering to the public demand for leisure sport vehicles. 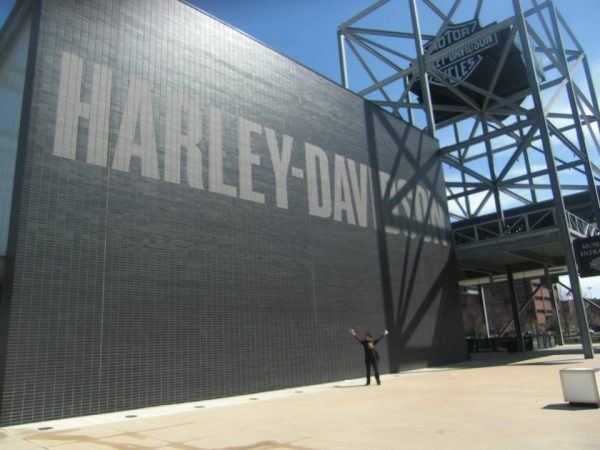 The Harley-Davidson Museum in their hometown in Wisconsin opened in 2008 and is as massive spatially as the brand is internationally. I was thrilled to have the opportunity to visit the museum on April 27, 2015. Of course, I had big expectations. On vacation from Toymakers Cafe in Falls Village while visiting my girlfriends Jennifer and Irene in Milwaukee, I arrived ready to be wowed. 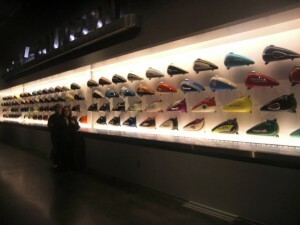 Even so, the museum was visually astounding. The scale of the place made me breathless. From an indoor balcony two stories up (which felt more like four stories!) 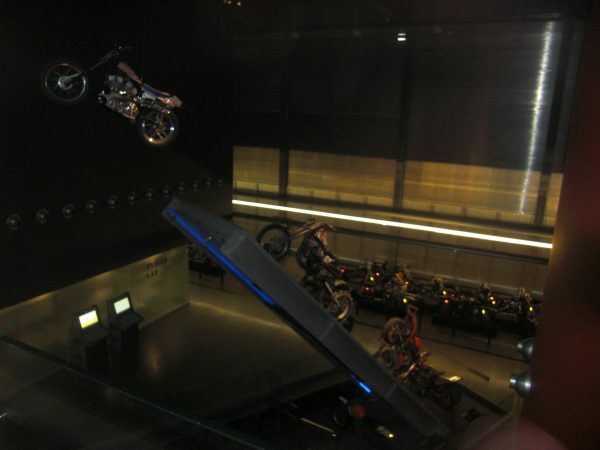 I could look down and see a motorcycle suspended in mid-air; then, below it, rows of motorcycles spanning eleven decades. 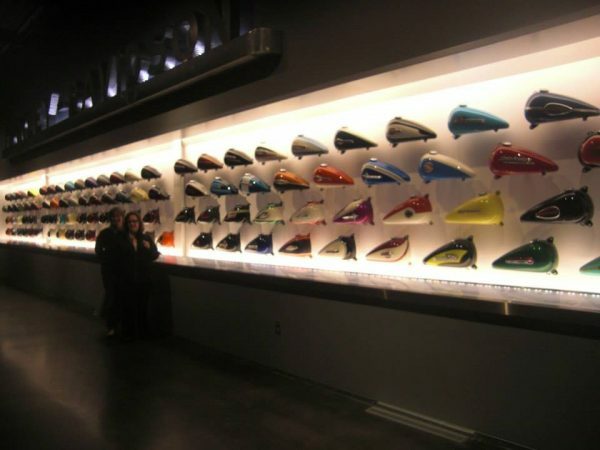 There was a wall of gas tanks, backlit like fine sculptures, that wasn’t quite a football field long, but seemed like it. 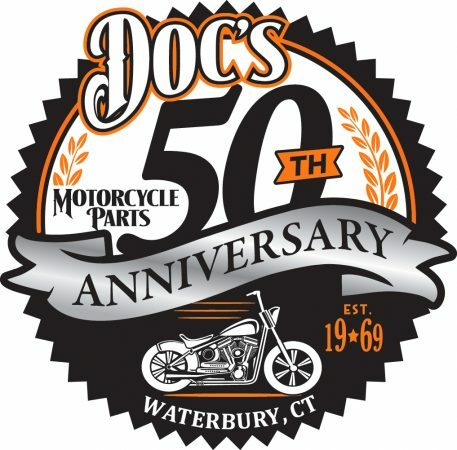 There was racing memorabilia, motorcycle club leathers and histories, advertising ephemera – plus some of the most wow-the-crowd Harleys ever custom built. These included jaw-droppers like a motorcycle built for two (two seats, two handlebars, two gas tanks – all welded in tandem); a hot black bike so chromed-out you couldn’t see its inner workings; and my personal favorite, a motorcycle encrusted with thousands of rhinestones in places you wouldn’t even think rhinestones could go (like on the brake lights!). 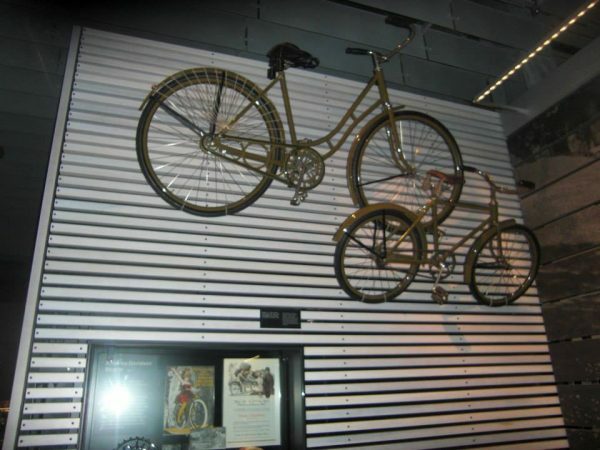 One bike I spent a lot of time looking at had floated in its crate on a tsunami wave all the way from Japan to the United States. One side had rusted in water and sand before its discovery on a remote West Coast beach; the other side was practically pristine. 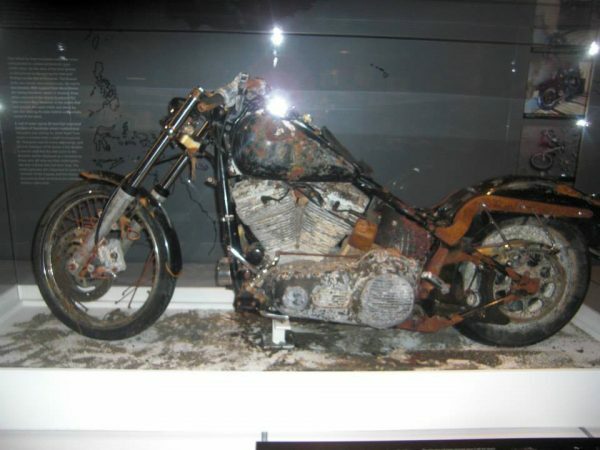 Harley-Davidson tracked down the Japanese owner, who graciously donated the bike to the museum as a tribute and memorial to those who lost their lives in that catastrophe. It gave me pause. 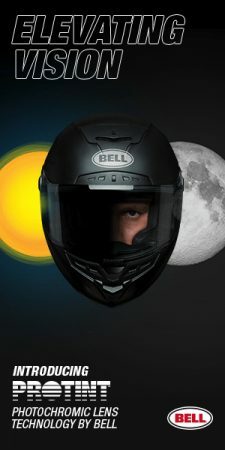 There is something about motorcycles that skirts the edge between the intensely-lived life and the moment of death; that motorcycle embodied both. I felt a little guilty dragging Jennifer and Irene there, who are not nearly as into motorcycles as I am, but I needn’t have worried. Jennifer decided she was really intrigued by motorcycle mechanics (the guts, not the guys, but you never know). 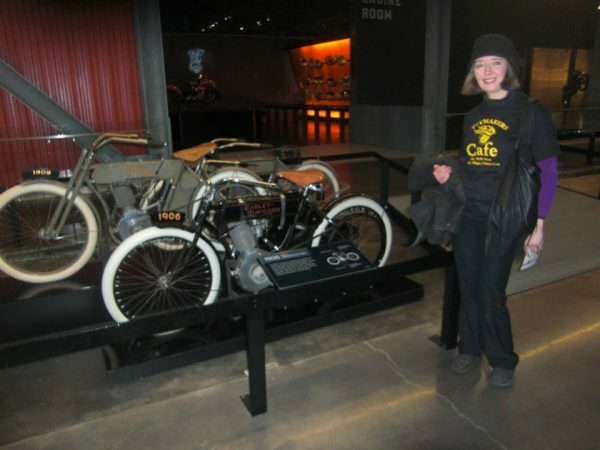 She lives in Milwaukee and plans to go back to the Harley-Davidson Museum again. Irene said she hadn’t expected to have such a good time, or be so interested. 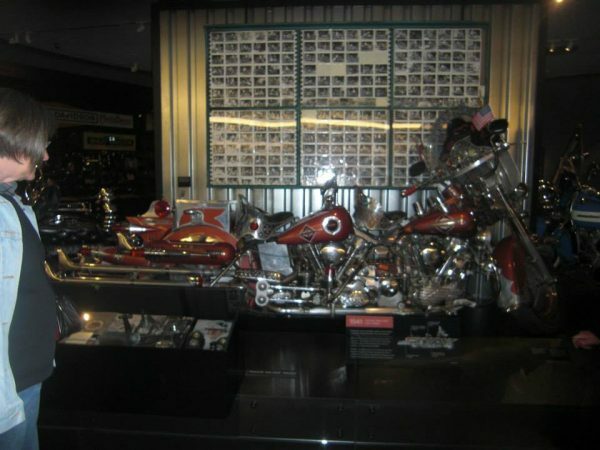 The Harley-Davidson Museum allows visitors up on the third floor to view the neat, well-equipped shop where motorcycle restoration happens. Through a glass and wire mesh barrier, a rusted sidecar awaited expert TLC. If you need a good summer road trip, take your bike on the sixteen-hour trip (shorter if you like to go fast) Milwaukee. 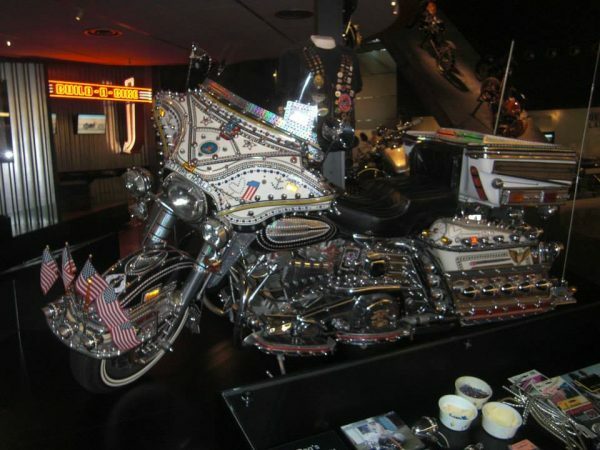 The Harley-Davidson Museum will leave anyone who loves to ride with a lifetime of memories. 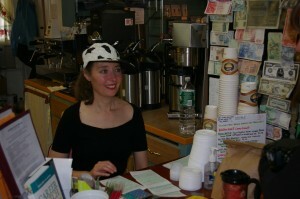 Writer Ann Bidou co-owns Toymakers Cafe in Falls Village, CT with her husband, Greg. She has co-authored two books with Shoya Zichy: “Career Match: Connecting Who You Are With What You’ll Love to Do” in 2007 and “Personality Power: Discover Your nique Profile and Unlock Your Potential for Breakthrough Success” in 2013.